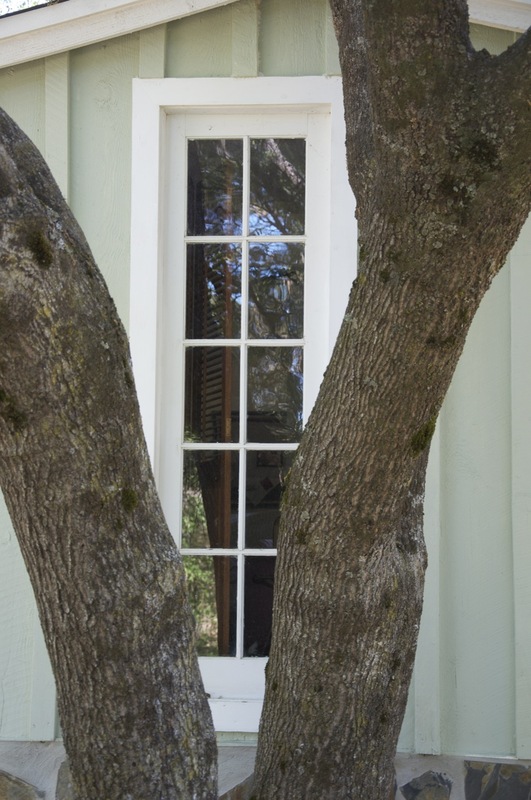 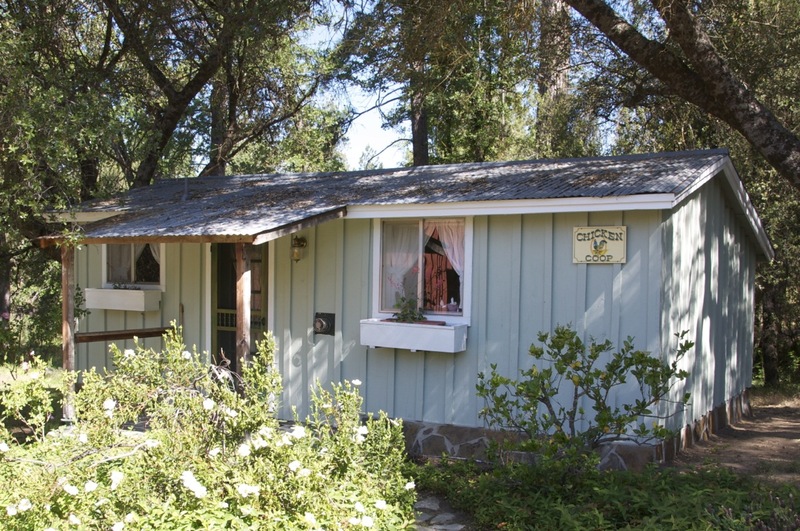 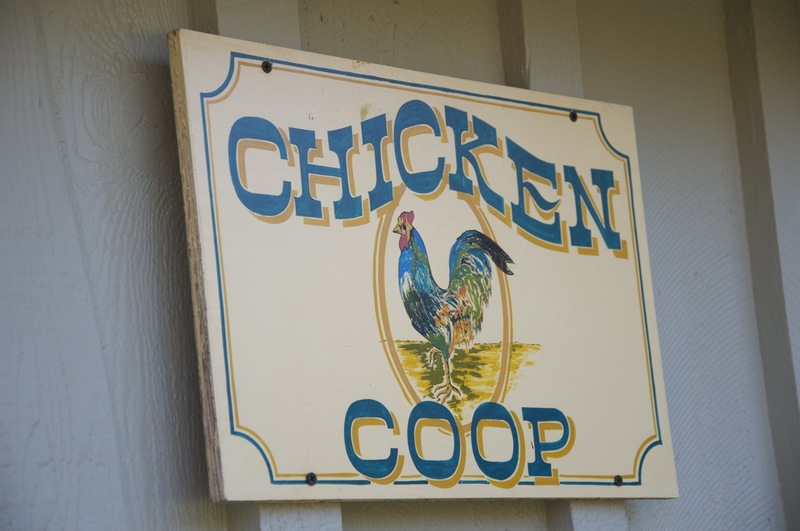 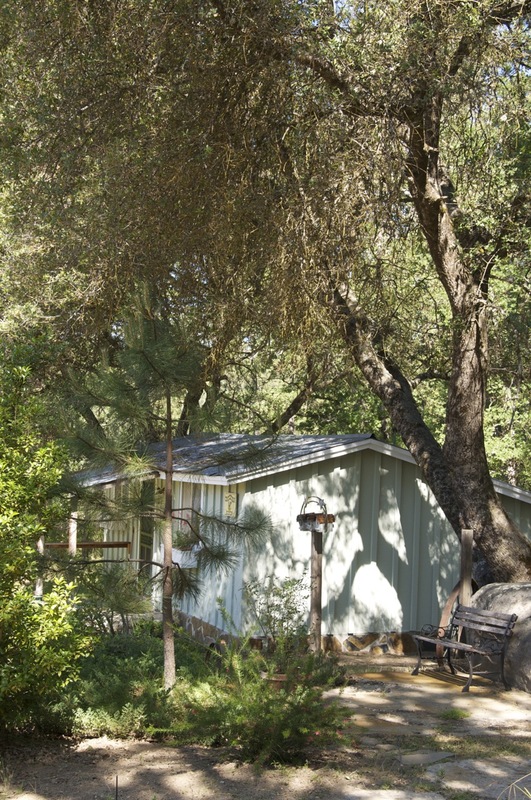 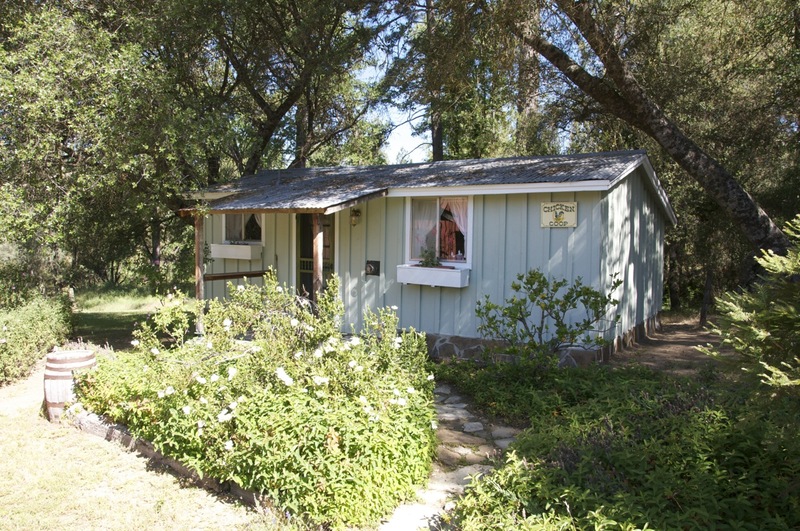 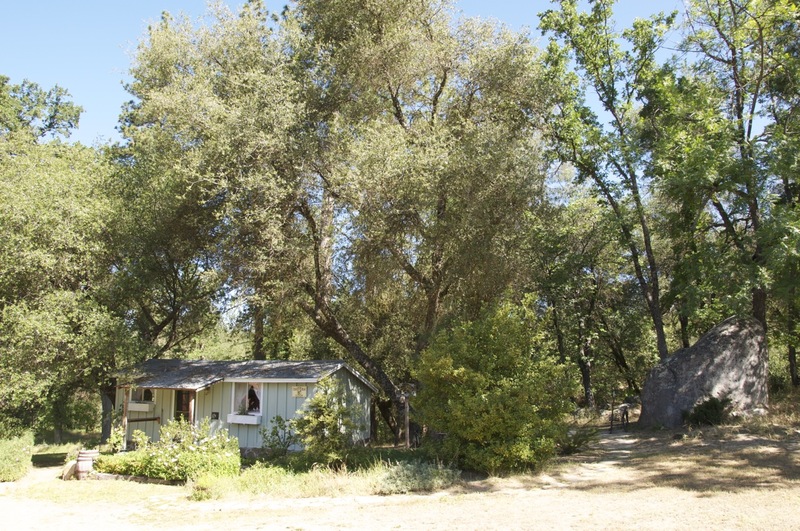 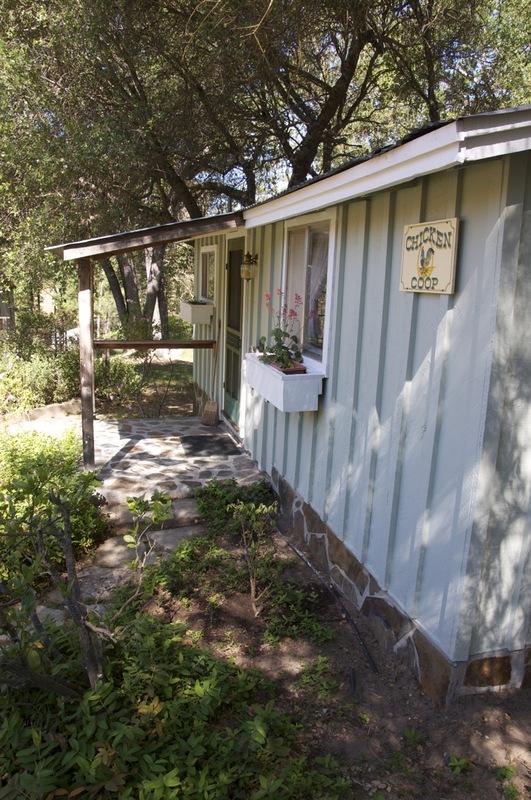 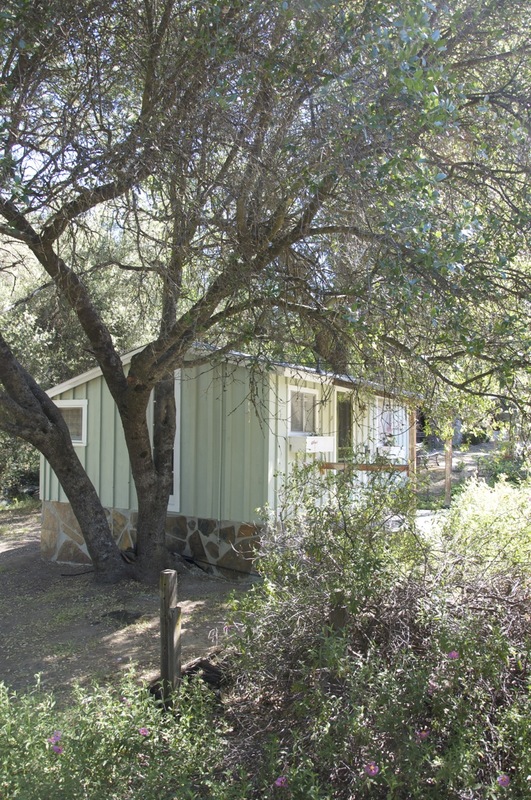 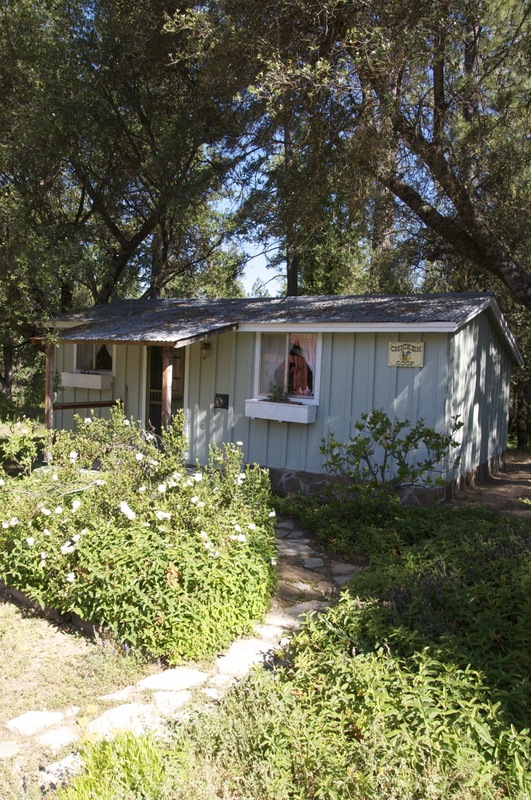 Tucked in the trees, the old chicken coop has become a favorite choice for honeymoon and romantic retreats. 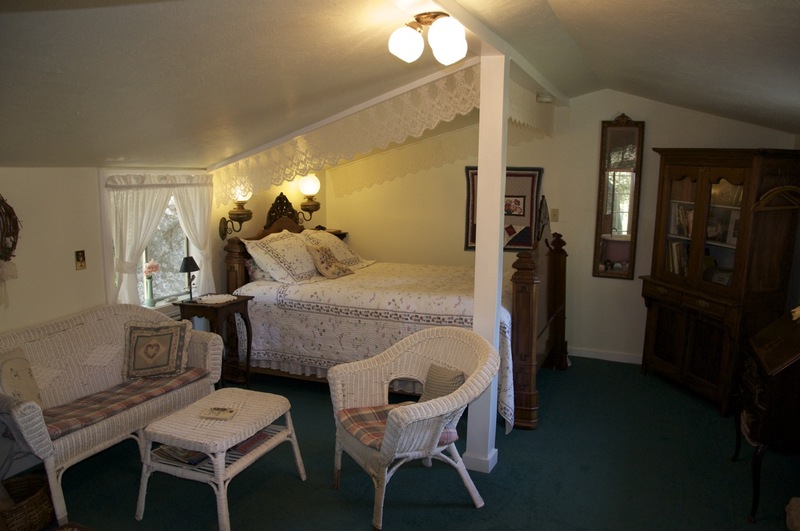 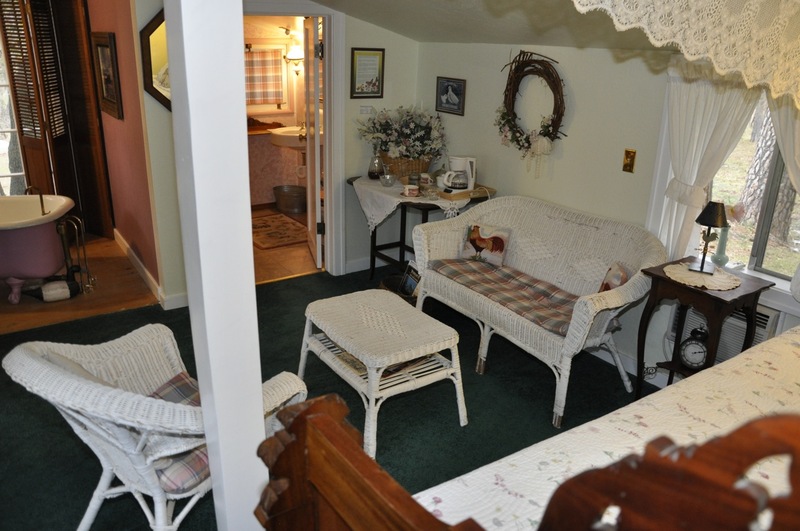 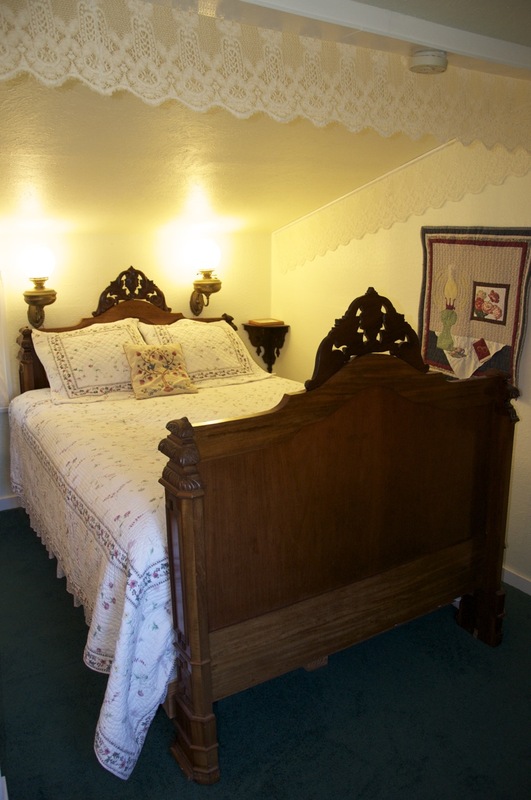 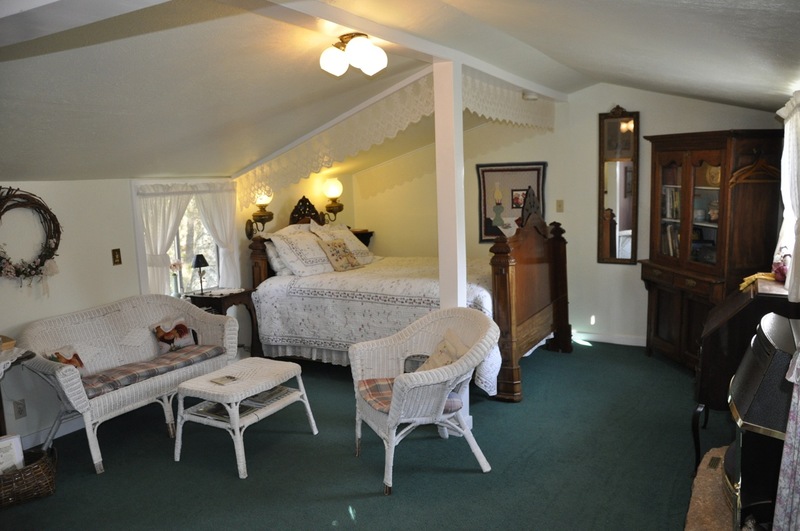 Furnished with antiques, including an Austrian carved, queen size bed surrounded by a lace canopy. 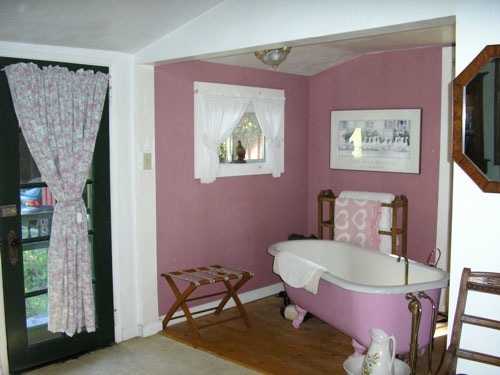 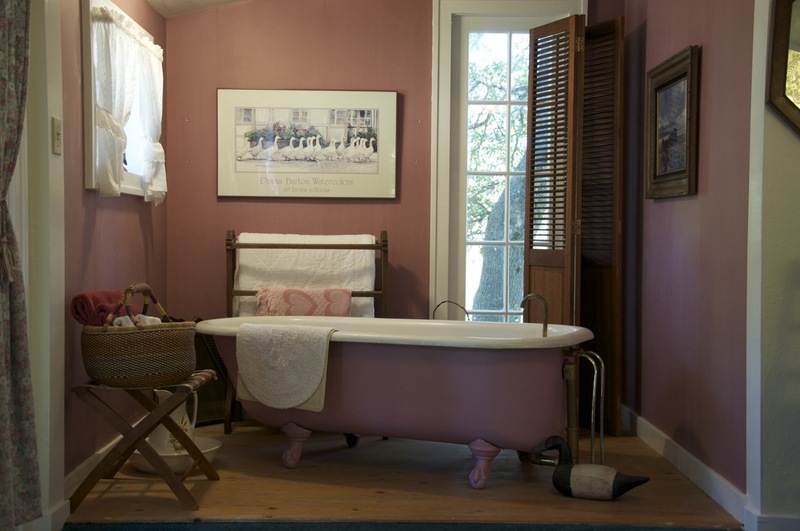 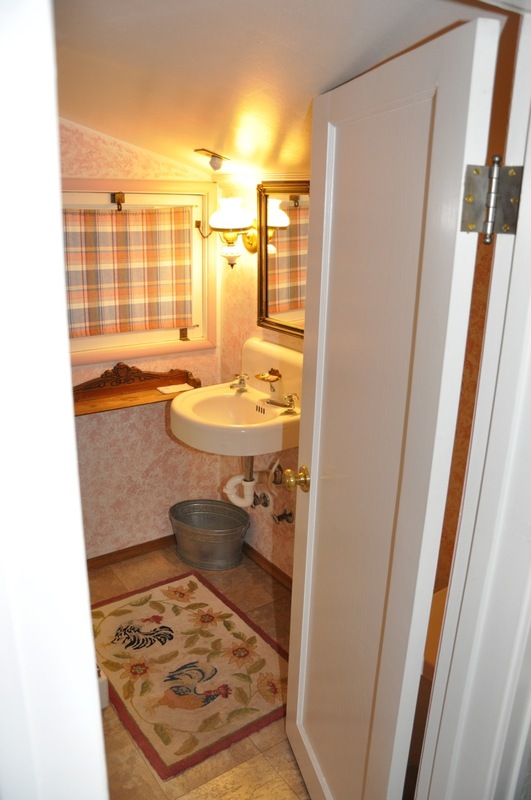 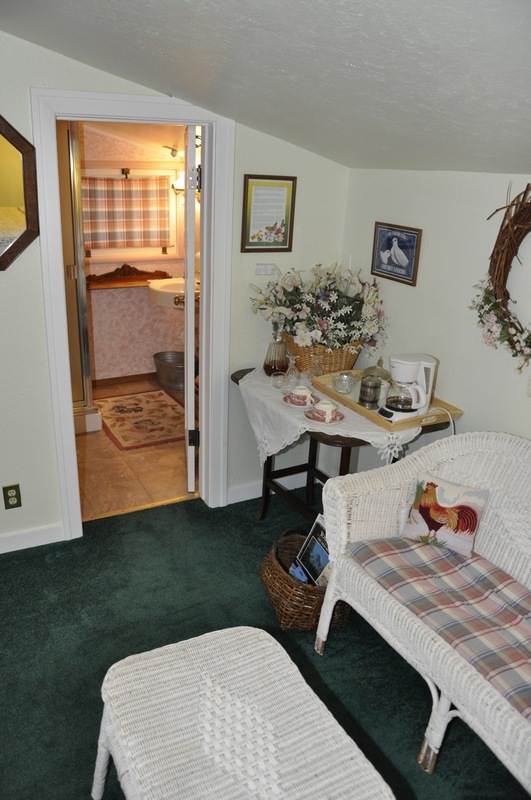 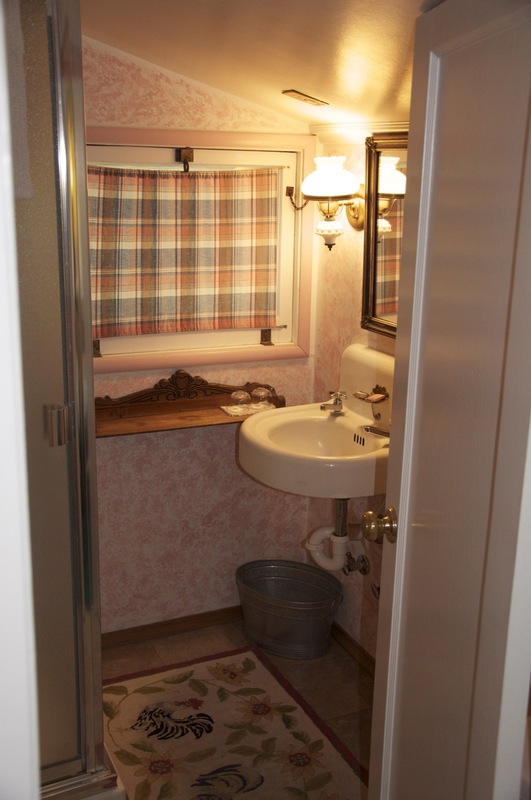 Soak in the claw foot tub in your private bath, with shower. 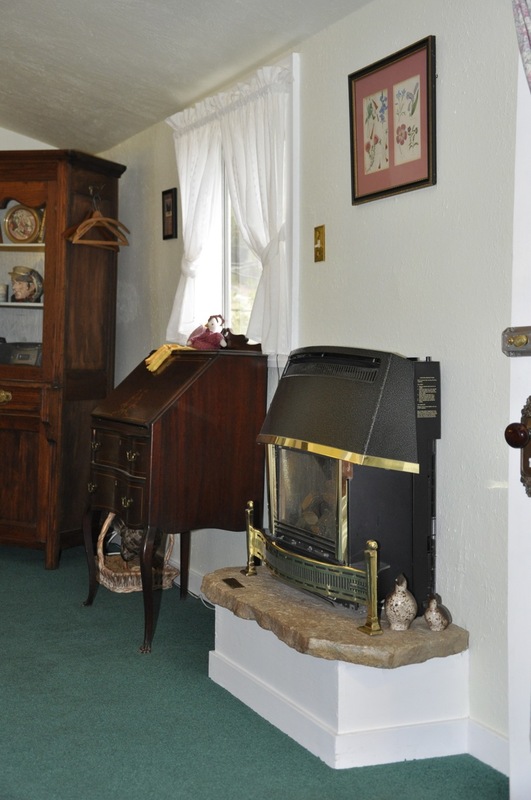 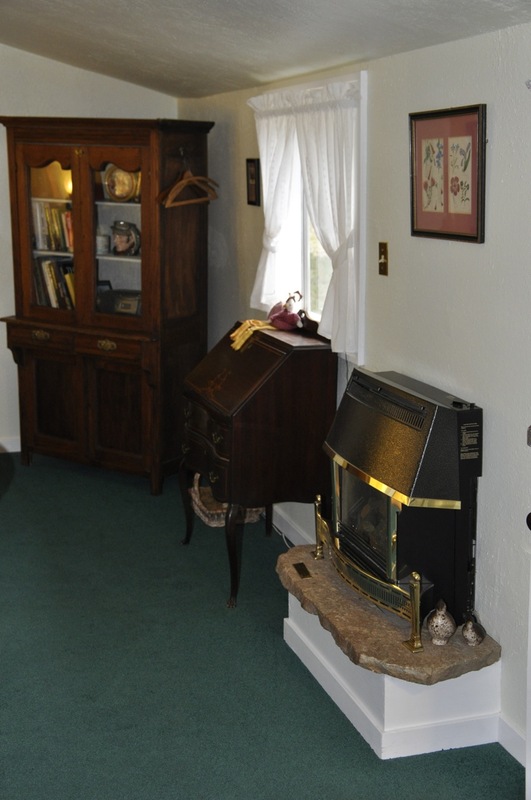 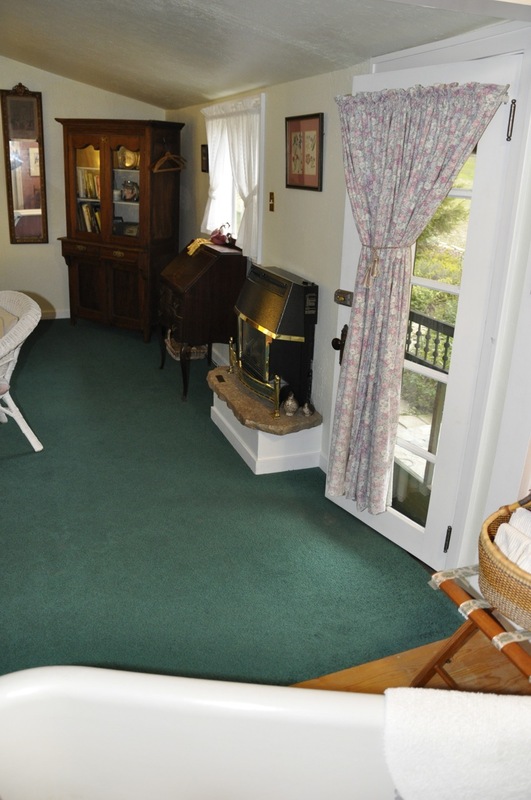 Enjoy air conditioning or a cozy evening by the gas fire. 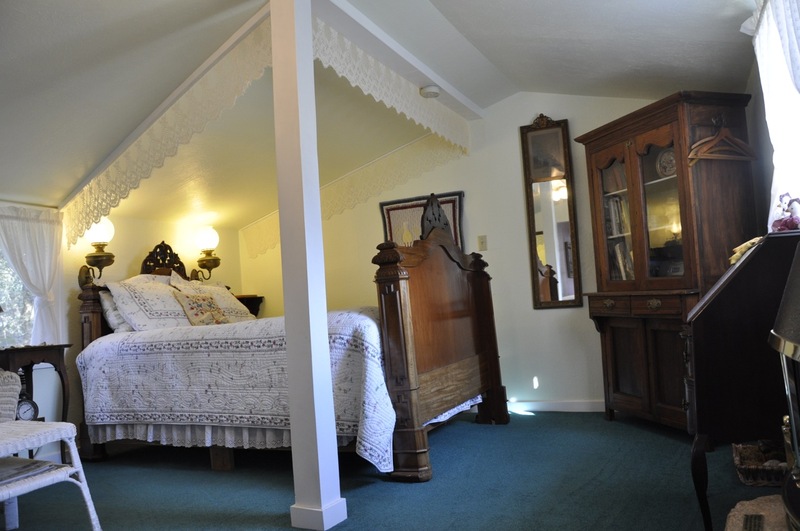 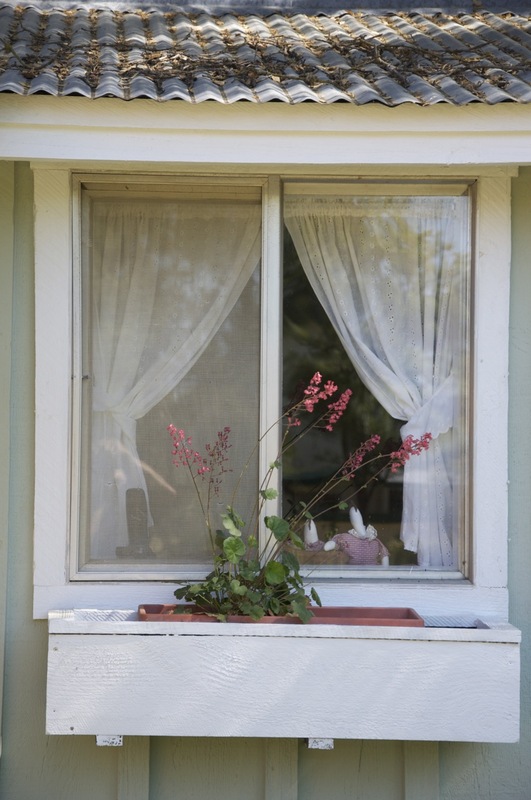 There are sloped ceilings over the bed and in the bathroom, so you may want to choose the Garden Gate if you are tall. 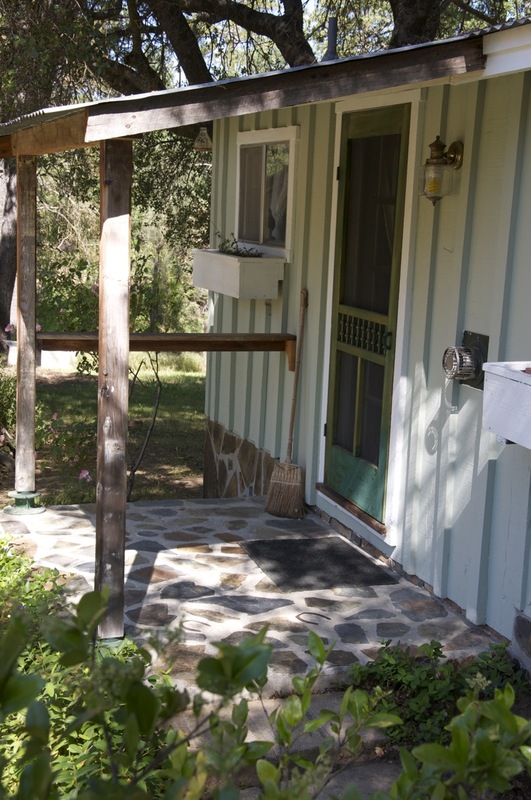 Wi-Fi DSL internet access is not available in the Country Cottage, but is available in the The Garden Gate room and the main house. 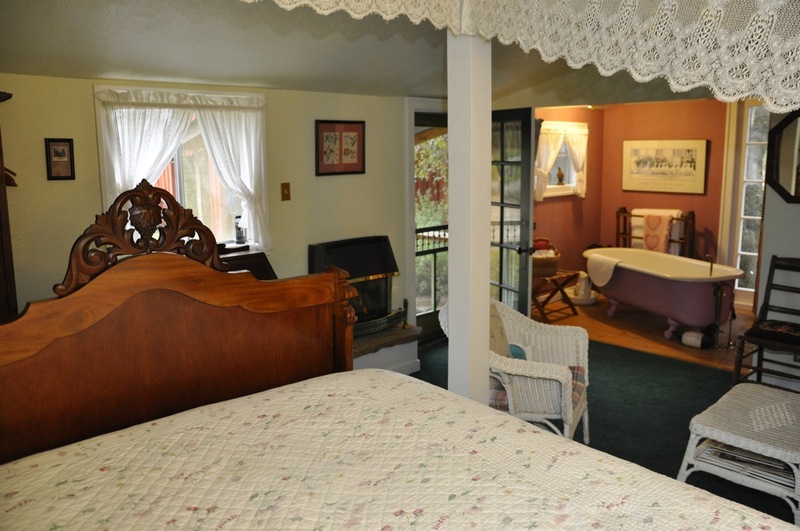 Please contact us to request a reservation.